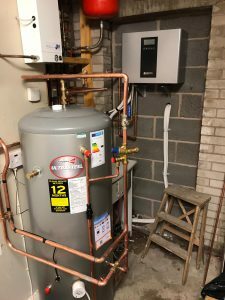 Home > Blog > Thermodynamics to the Rescue! 14 Mar Thermodynamics to the Rescue! With the recent news that fossil fuel heating system installations will be banned in all new build houses from 2025, we MUST consider what our options will be for hot water and space heating in just 6 years! It’s been a long time coming – and finally news is starting to break that the way we must heat our homes and our water, could change dramatically in as little as 6 years time. Sure, the government can’t jump into our homes, remove the heating systems we already have installed, and force us to pay for the installation of an alternative… but they can ban any new installations in homes that haven’t been built yet! Last year it was reported that a huge backlog in the need for new build homes in the UK, would mean that the 340,000 new homes must be build each year until 2031, in order to accommodate the rising demand! Yikes. That is in total 2, 240,000 new homes to be built in 6 years from the proposed plan to ban the installation of fossil fuel heating systems in 2025. All homes of which… will require an eco-friendly alternative. So what are our eco-friendly domestic heating options, and why are we not already using them? Shockingly, in the UK, 98% of domestic and commercial greenhouse gas emissions from heat, reportedly come from conventional space and water heating methods, but why has it taken until now for there to be any drastic changes in the way we heat our homes? 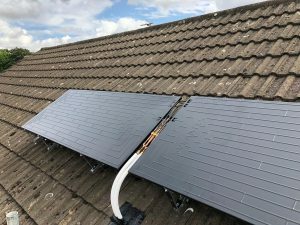 It is possible that many UK homeowners have chosen to avoid solar hot water or heating methods, for fear that a lack of sun exposure will mean that their solar energy systems cannot generate enough hot water or heating, to justify their investment in renewable technology in the first place, (this is when compared to the actual cost savings they would see from having a system installed). Where this is the case for air source, ground source and solar thermal systems, it does not necessarily apply to a newer form of heat generation known as thermodynamics. Why thermodynamic water heating systems could prove to be the most popular choice in new builds. 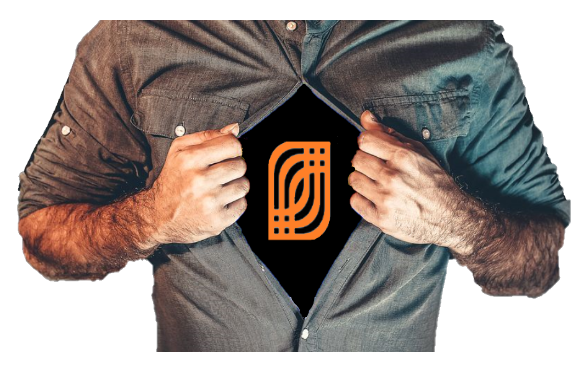 Thermodynamic hot water systems or ‘solar assisted heat pumps’, were researched, designed and manufactured as low cost, highly efficient systems, made purposely to suit the UK environment. They work by heat energy transfer – not solar power, meaning that … THEY DON’T NEED THE SUN to work! Great to know that there is finally a solar energy system that has been developed to suit the UK and its ‘Great British Weather’. These smart hot water systems even work at night! 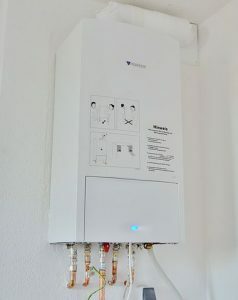 Not only do thermodynamic eco water heaters provide water that is made hot by taking the ambient energy from the environment, working in any weather and even sub-zero temperatures – they also help us to support and care for our environment using the ambient energy from natural occurrences to heat water. As they are fully reliable – 365 days a year, you can see why thermodynamic hot water systems will be the most popular choice of heating domestic water, and by the time the government incentive for scrapping all fossil fuel heating technologies in new builds comes into place, it is also highly likely, that the same thermodynamic technology will be being used for space heating alongside water! Despite initial fears that solar energy systems alone will never be a match for fossil fuel burning methods of heating, it is quite possible that through thermodynamics, and by using a form of solar technology that is not reliant on the sun, we could create a new generation of homes, whose occupants stay just as warm as the rest of us, whose homes run just as efficiently and whose children are bathed just as frequently, but without the carbon emissions, or anywhere near the heating cost!